Miss Emily has been dancing since the age of three! She began her training in Nailsea and continued her ballet training in her teens in Bristol & Bath, where she completed all major ISTD and RAD exams, including Advanced Tap and Modern exams (passed with Honours) and her Advanced Ballet exams. She was lucky to receive extra tuition from RAD Examiner and Adjudicator Janet Palmer and ex-Royal Ballet Principal Karen Paisey in Bath in her later teens. She has competed in many Dance Eisteddfods and competitions since a young age and was lucky to win medals and even trophies, including receiving 3rd place in the ‘All England Finals’ as part of a Contemporary duet in Sadlers Wells. Miss Emily has also performed at the Bristol Hippodrome, Colston Hall, Redgrave Theatre and many other local theatres in various productions. She was a member of the Bristol Youth Ballet Company for several years, where she worked her way up from the corps de ballet to soloist. The Company performed at many theatres in the area and took part in regular workshops with prestigious guest teachers.Miss Emily worked as a Professional Dancer in a Dance Show in Disneyland Paris for almost a year, where she played/danced many of the Disney Characters, her main role being Sleeping Beauty! Miss Emily is delighted to have qualified with a Certificate in Ballet Teaching Studies (CBTS) with the Royal Academy of Dance, and her D.D.I Modern and Tap teaching qualifications with the Imperial Society for Teachers of Dancing (ISTD). She continues to further her teaching qualifications and takes regular courses with her teachers to ensure they are up to date with the latest training and can add further experience to their teaching. She loves to teach her students of all ages from Baby Ballet to her own Adult Ballet Company Class every Friday evening. Miss Charlotte has been dancing since the age of two and has completed all of her Graded Examinations in both RAD Classical Ballet and ISTD Modern up to Advanced level. She has competed in Eisteddfod Competitions for 11 years, during which time she performed many solos and group dances. Miss Charlotte was also chosen to take part in an ITV Fixers music video, where she choreographed and performed her own ballet solo. Her passion for dancing, in particular, Classical Ballet is something she wishes to share with others and has now been given the opportunity to do so. Miss Charlotte was accepted on to the Certificate in Ballet Teaching Studies Programme (CBTS) with the Royal Academy of Dance where she has completed her teacher training, with the help of her Mentor Miss Emily. Miss Charlotte now teaches ballet to pupils of all ages from across the school from the Baby Ballet groups, through to the older girls in Intermediate Foundation class. 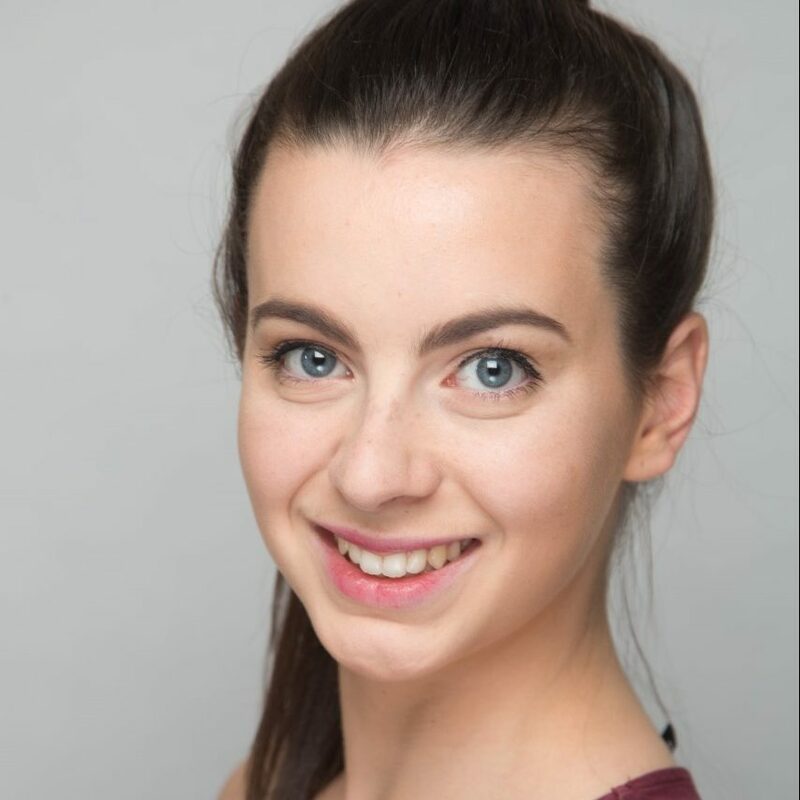 Miss Charlotte is a proud member of the Emily Baker School of Dance Repertoire Company where she enjoys taking regular classes with the company. Miss Charlotte is looking forward to continuing to teach the students of the Emily Baker School of Dance for many years to come! 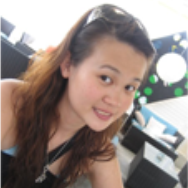 Originally from Hong Kong, Miss Priscilla started her training at the Hong Kong Academy for Performing Arts. Miss Priscilla was taught by an experienced and well-known ballet teacher, who trained in Russia and taught in the Beijing Dance Academy. During her years in Hong Kong, she took part in numerous performances and competitions as well as working with The Hong Kong Ballet. Since 2004, Miss Priscilla has lived and studied in the UK. She was honoured to have extra coaching from well-respected RAD examiner, Patricia Moore, and ex-Royal Ballet Principal, Karen Paisey. She has reached her RAD Advanced 2 in Ballet and completed her teaching qualification with the Royal Academy of Dance. Miss Priscilla teaches children from the age of 3 all the way through to our weekly adult ballet class. She also works hard to help us prepare our Ballet students for Exams by teaching regular additional ‘Exam Coaching’ classes to help our pupils hone in their skills leading up to taking a ballet exam. She is delighted to work for the Emily Baker School of Dance and hopes to pass on her passion for Ballet to all of our pupils! Miss Phoebe started dancing at the age of 7 with The Susan Nash School of Dance and Drama in St George, Bristol. It was there that she found her passion for Ballet, Jazz/Modern and especially Tap, and has not lost it since. 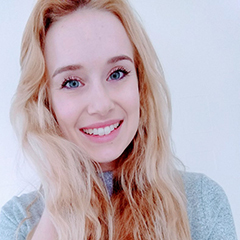 After flying through her Dance GCSE and AS level, Miss Phoebe decided that the route of dance teaching was the one for her and joined the Bristol College of Dancing to further her dance training. It’s with the college that Miss Phoebe completed her DDE qualifications in Tap, Modern and Ballet genres. Dance has always been a huge passion for Miss Phoebe and she loves having the ability to share her passion with pupils of all ages at Emily Baker School of Dance. Miss Phoebe has now been teaching for the School for over 7 years and has had the pleasure of running children’s dance parties and has been a part of three major EBD productions as well as mini seasonal showcases. 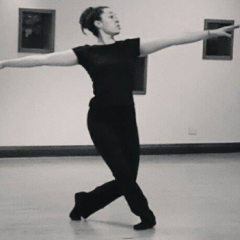 After training in Ballet, Modern and Contemporary in Greece, Delicia moved to the UK to study Contemporary Dance. 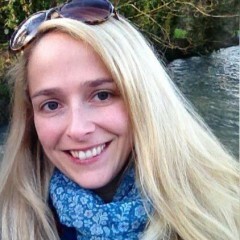 She graduated with a 1st Honors degree from Bath Spa University and moved to Bristol. After Graduation Delicia started developing her own choreographic projects, collaborating and performing with other artists while also teaching Ballet and Contemporary dance. As a mover, Delicia likes merging and expressing through different qualities, techniques and dynamics and her aim is to encourage her students to become versatile dancers as well as to find their own unique dance ‘voice’. 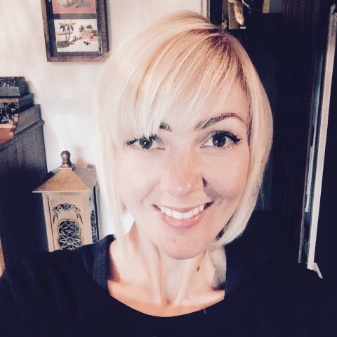 Delicia is really looking forward to teaching for Emily Baker Dance School and is excited to become part of the team! Miss Laura started ballet at the age of 3 in Southampton, where she trained until she was 18 years old. During this time she completed her RAD exams, to Advanced level. She also participated in many festivals and shows, playing the lead role of Cinderella in her school’s dance show, aged 17. Despite being offered a place at the Central School of Ballet in London, Miss Laura chose to continue with her academic studies, though has continued to take regular classes and has been fortunate enough to experience some fantastic tutors as an adult dancer, including Gary Sinclair (ex-Royal Ballet), who taught her to look beyond technique and really embrace dance. Miss Laura has been involved with the School since it started and has performed with our Adult Ballet Company in previous shows. The children might remember her as one of the ‘Spanish Dolls’ from our Nutcracker, dancing a duet with Miss Charlotte. Miss Laura is very excited to be joining the school where she will be undertaking her full teaching qualifications under Miss Emily’s mentorship and is looking forward to meeting the children and teaching for the School in future. Miss Abi began dancing at the age of two and continued her training in Ballet and Modern throughout her childhood in Reading and Birmingham, completing all of her RAD Ballet exams with Distinction. She then went on to train at The Allenova School of Dance in Berkshire where she competed in Festivals and trained for her Advanced Vocational Ballet and Modern exams. During this time, she was also a member of the West Berkshire Youth Dance Company and performed with professional contemporary dance company Lila Dance. As the daughter of two professional actors and with a brother currently in the West End, theatre and performance has always been a part of Miss Abi’s life. At the grand old age of 6 months old she made her TV debut as ‘Baby’ in 2Point4Children and went on to spend her childhood performing in plays and musicals. Professionally she has performed various roles on TV. Abi graduated from The University of Exeter with a BA Degree in Drama, where she spent her time directing, choreographing and performing in a huge range of productions, two of which she took to the Edinburgh Fringe Festival. It was at University that Miss Abi also trained in and found a passion for Cheerleading. As a member of the Exeter University Cheerleading and Gymnastics Club, she spent three years competing nationally and performing in five of the squad’s Dance, Cheer and Stunt teams. She also took on the role of Jazz Captain in her final year with the responsibility of choreographing one of the Squads’ competition routines. Since Graduation Miss Abi has worked as a Movement Director for the Bristol Old Vic Theatre School as well as an Assistant Director for a number of theatre companies. 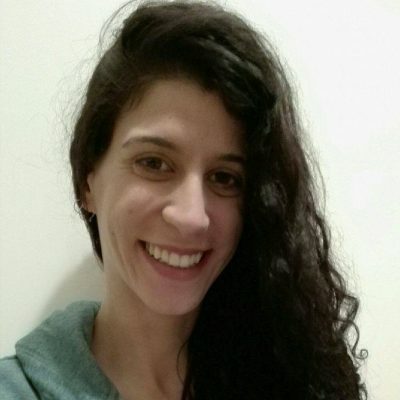 She has also worked as a workshop facilitator with Theatre Royal Bath and Bath Theatre Academy, teaching theatre workshops in creating movement and choreography for the stage with young people aged 10-18yrs. In 2018 she Assistant Directed a Circus version of The Little Mermaid in London before she began teaching Musical Theatre Dance and Cheerleading for EBD at Mojo Active’s Dance Summer School. Miss Abi has recently choreographed dances for EBD’s 2019 Production of Aladdin and is very excited to be teaching Modern and Musical Theatre Dance for EBD.